The number of students willing to take admission in IITs, NITs, IIITs and GFTIs is increasing day by day. A total of 11,09,250 candidates (9,29,198 for Paper-I & 1,80,052 for Paper II) registered for the January session of JEE Main 2019. In April session of JEE Main 2019, the number will definitely increase. Students join various coaching institutes to prepare for JEE Main 2019. After JEE Main Result 2019 of January exam, it is believed that joining coaching institutes is very important to crack JEE Main April 2019 as all the top 15 students scoring 100 percentile have taken help from coaching institutes. But some talented students are not able to join these expensive coaching institutes. To all such students, the national testing agency (NTA) is providing Content Based Lectures for JEE Main by IIT Professors and Subject Experts. Students can use this facility at free of cost. 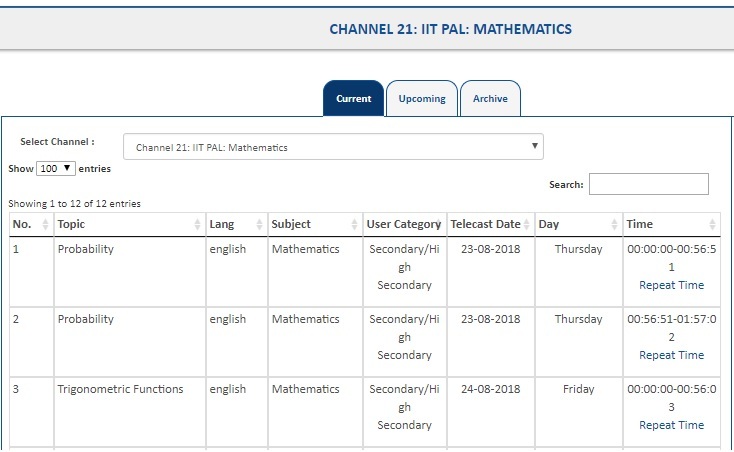 Let's know how you can prepare for JEE Main 2019 for free through IIT PAL (IIT-Professor Assisted Learning). 1. Visit the official website nta.ac.in. 2. Click on the link "CONTENT BASED LECTURES -FOR JEE MAIN AND NEET-UG BY IIT PROFESSORS / SUBJECT EXPERTS". 3. Select the subject among (Physics, Chemistry, and Mathematics) you want to study. 4. Thereafter, you will be directed to the YouTube where you can study any topic. How will IIT PAL help students? 1. Students can easily clear all the doubts related to any topic by watching the videos lectures given by IIT professors and Kendriya Vidyalaya teachers. 2. Economically weaker students who cannot afford expensive coaching classes can study through IIT PAL lectures on their phone or television. 3. Apart from just online lectures, students can also raise queries and get their answer through email or phone. 4. Students who joined any coaching institute can also take help from these lectures by picking any slot they are comfortable with as the lectures are broadcasted six times a day. The schedule of next 4-5 days including time and date is also available on the website. 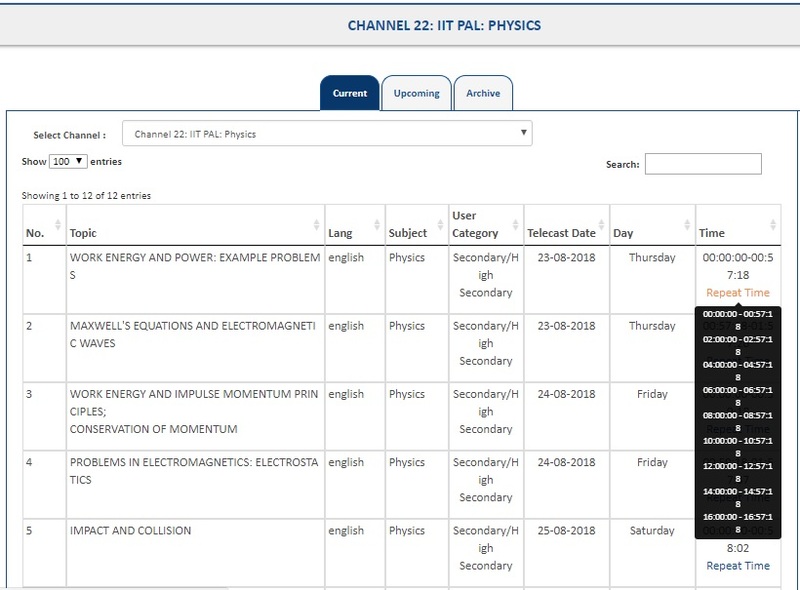 The video lectures on each topic of Physics, Chemistry and Mathematics will be telecasted many times a day. Hence, students will have the choice to pick their favorite slot. 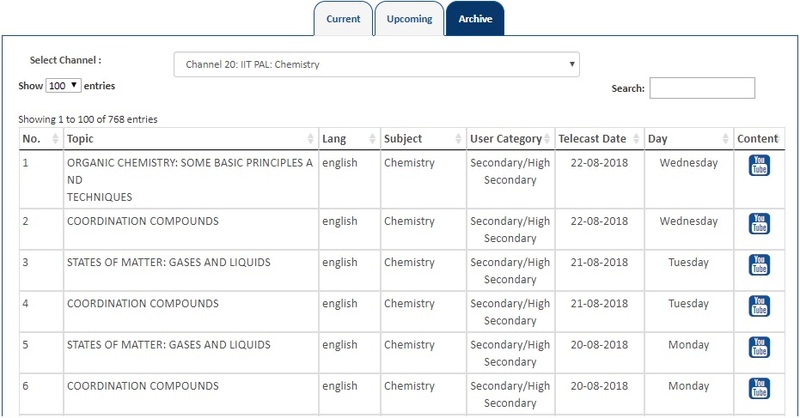 Students can view any lectures many times with the help of Archive. All the recorded video lectures are available under the Achieve tab. Engineering aspirants can thoroughly study any topic of Chemistry, Mathematics and Physics for JEE Main and Advanced 2019 by well educated professors through IIT-PAL (IIT Professor Assisted Learning). Through the IIT-PAL, the impact of the coaching center on engineering candidates will definitely be reduced.